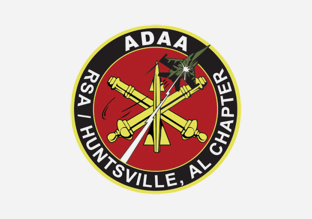 Event sponsors include the National Defense Industrial Association-Tennessee Valley Chapter (NDIA-TVC), the Air Space and Missile Defense Association (ASMDA) and the Air Defense Artillery Association-Huntsville Chapter (ADAA). Read more about these organizations below. The National Defense Industrial Association Tennessee Valley Chapter (NDIA-TVC) actively supports the national defense industry within a region that includes Alabama, Tennessee, and Mississippi. Headquartered in Huntsville, AL, the Chapter conducts a number of events each year in support of its general membership and the community. NDIA-TVC has been recognized as a “Model Chapter” in each of the past twelve years. 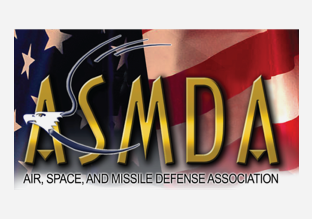 The Space and Missile Defense Working Group is a functional organization of the Chapter that focuses on space and missile defense issues considered critical to the security of the United States. The NDIA-TVC has always emphasized the need for supporting Science, Technology, Engineering and Mathematics (STEM) education in its regional area. The Chapter’s educational activities range from kindergarten through post-graduate programs. Each year the Chapter awards multiple undergraduate scholarships and graduate level fellowships to deserving students in technology and logistics fields, as well as supporting technology programs for elementary and secondary school students. The Chapter provides educational seminars during the year for industry and government representatives including an Overview of System Acquisition Management (OSAM) and periodic Industry Professional Update Luncheons that focus on providing information and provoking thought on current issues affecting our Defense Industrial Base, such as Defense Funding, Base Realignment and Closure (BRAC), Defense Transformation, and Advances in Technology. The NDIA Tennessee Valley Chapter has 2817 individual and 55+ local corporate members in our organization. There are over 130 Corporate Sponsors with offices in the TVC. You can find more details about the Chapter’s programs and activities at our website www.ndia-tvc.org.